National Conference leader Omar Abullah Thursday termed as a "retrograde" step the withdrawal of security to some mainstream political activists in Jammu and Kashmir, noting that it will weaken the political activity in the state. "Withdrawal of security to mainstream political workers & office bearers is a retrograde step that will only weaken political activity in the valley. 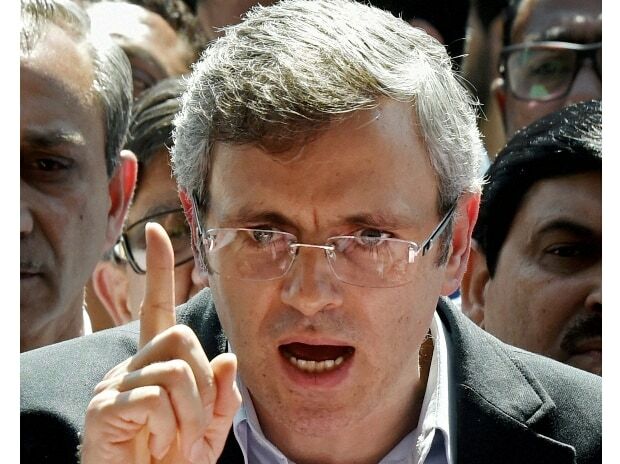 This is regardless of the fact that no one from @JKNC_ has had their security withdrawn in yesterday's list," he said. Urging Jammu and Kashmir Governor Satya Pal Malik to reconsider his administration's decision, the former chief minister said they will approach the court if it is not revisited. "I would like to encourage @jandkgovernor to reconsider this step. If it is not revisited we will approach the courts & ask them to intervene," Omar wrote in a series of tweets. He alleged that there seemed to be an element of pick and choose at play in the decision to withdraw the security of some mainstream political activists. "I have no doubt this step was taken without taking in to consideration inputs from central & state intelligence agencies which can only mean it's been done for political purposes & there is an element of pick & choose at play here," he added. The state government on Wedneday announced withdrawal or downgrading of security of 155 persons, including 18 separatists. The list included former IAS officer Shah Faesal and PDP youth president Waheed Parra.